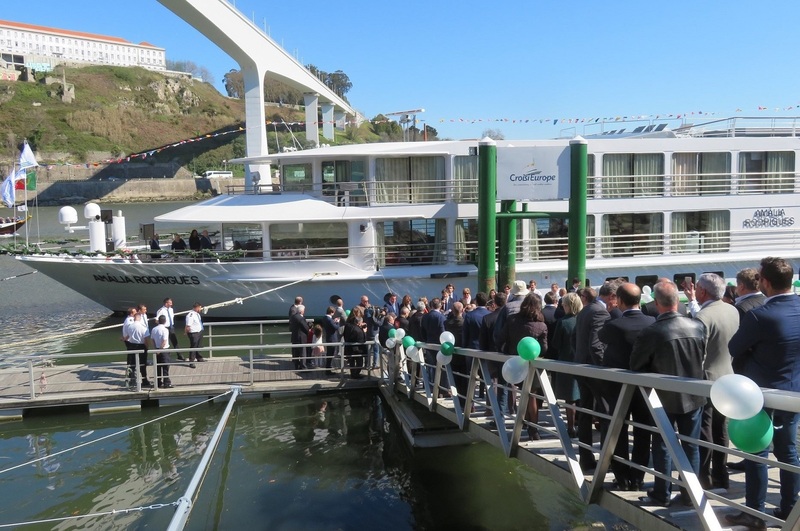 A poignant rendition of Portuguese fado and a customary bottle of Champagne cracked across the bow were all part of the christening ceremony for CroisiEurope’s newest ship Amalia Rodrigues named after the “queen of fado”. 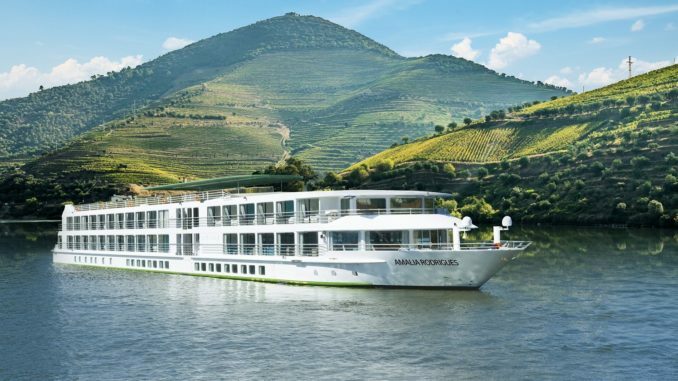 The 132-guest vessel is the sixth CroisiEurope ship that will sail on the Douro; first described by the Romans as the so-called ‘River of Gold’. 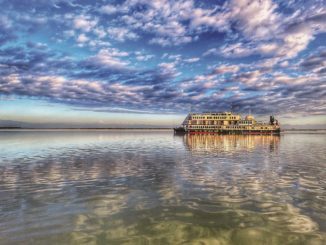 The ship takes its name from the legendary Portuguese singer Amalia Rodrigues who popularised fado – the haunting song and musical genre associated with the sea that originated in Portugal in the 19th century – and the inauguration also marked the 20th anniversary of her death in 1999. In her memory there were live performances of fado at the ceremony held in Porto and the VIP guests included the ship’s ‘godmother’, Maria Alexandrina Quaresma, director of the Amalia Rodrigues Foundation, who broke the Champagne bottle against the ship in front of the crowd of 150 attendees gathered on the quayside. The ship, constructed at the Meuse and Sambre shipyard in Namur, Belgium, is CroisiEurope’s 23rd premium rated vessel. 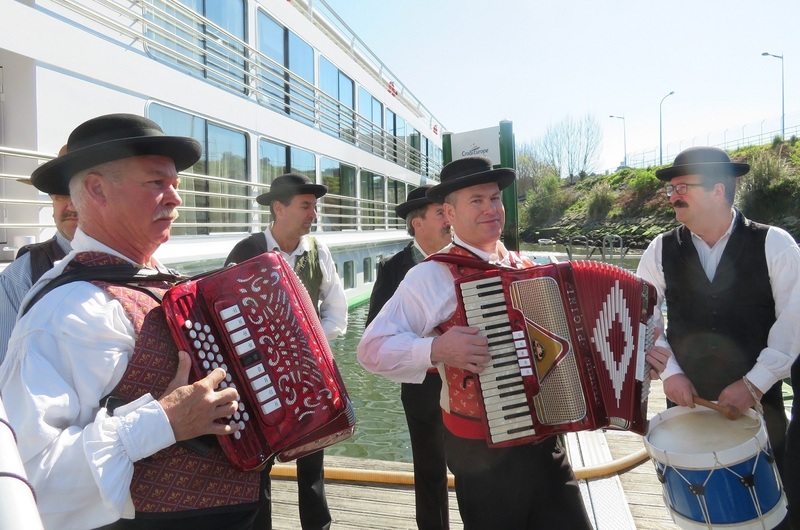 Founded in 1976 by Gerard Schmitter, who began the three-generation family-owned company with one ship on the Rhine, CroisiEurope was one of the early pioneers of river cruising. 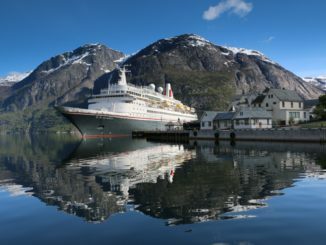 It is now the largest European-based river cruise line and has fleet of 56 vessels sailing in Europe, Asia, Africa and North America. Situated at the mouth of the Atlantic Ocean, it was from Porto that Prince Henry the Navigator set out in 1415 bound for Africa, heralding the Portuguese ‘Age of Discovery’. Modern-day Douro sailings begin and end in Portugal’s second city, which is divided in half by the Douro, and all of CroisiEurope’s Portuguese ships have been named after navigators or cultural icons. 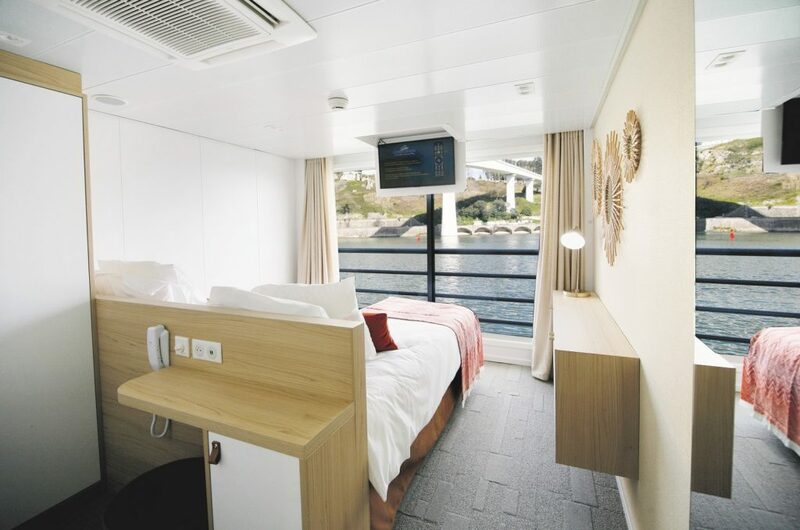 The three-deck Amalia Rodrigues has 66 cabins, including an accessible cabin, along with two suites with balconies. All cabins on the two upper decks have floor-to-ceiling panoramic windows and beds facing the river to make the most of the passing scenery. The vessel also boasts CroisiEurope’s trademark bright and contemporary décor and amenities include a panoramic lounge, spacious restaurant, shop and sun deck with a swimming pool. During the christening ceremony there was a performance of The Song of the Sea, one of the best-known fado compositions and once sung by Amalia Rodrigues. From April to October the Amalia Rodrigues will sail on five and eight-night round-trip cruises from Porto to the Regua on the Spanish border. Renowned for its lush green landscapes, Douro cruises take in visits to famous-name port houses and the chance to visit the Spanish “golden city” of Salamanca. Sailings also take in the spectacle of passing through the 115ft deep Carrapatelo lock which is the deepest in Europe. CroisiEurope sells flexible, value-for-money itineraries which include all food, an open bar and extensive choice of complimentary wines with lunch and dinner. 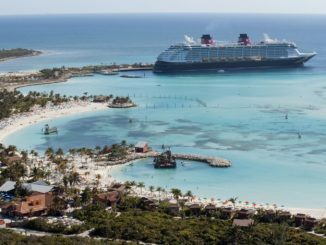 An “à la carte” excursion programme allows passengers to pick and choose the shore tours they want to join. Cruise-only Douro fares start from £791 per person for a five-night cruise including on board entertainment and a gala evening.